With the global games audience estimated somewhere between 2.2 and 2.6 billion people, and the global gaming software market expected to grow from $137.9bn in 2018 to an estimated $180bn by the end of 2021, the opportunities for the Scottish games industry have never been greater. Now, in the first exhibition of its kind, V&A Dundee is to celebrate the design and culture of contemporary video and mobile gaming – one of the most creative, fast-moving and fascinating design fields of our time. Dundee is the perfect place to celebrate the industry – gaming, coding and digital creativity are written into the city’s very DNA. In the early 1980s, when Sir Clive Sinclair chose the city to assemble his first home computer, the ZX Spectrum, little did he know that he was about to give birth to a new generation of computer-literate young Dundonians. Many went on to study computing at Dundee Institute of Technology, the forerunner of Abertay University, and at the University of Dundee. Abertay launched the world’s first computer games degrees in 1997, leading to Dundee becoming a global hub for the industry. Today, the university’s computer games degrees have been ranked best in Europe for the fourth consecutive year, by America's prestigious annual Princeton Review. From early gaming successes such as Lemmings, through to world beaters such as Grand Theft Auto and Minecraft, Dundee ingenuity and creativity has had a hand in them all. The exhibition - Videogames: Design/Play/Disrupt - will also bring a new, younger audience to the V&A. Mind you, the museum has already smashed its ambitious visitor projections, attracting half a million visitors six months earlier than expected. 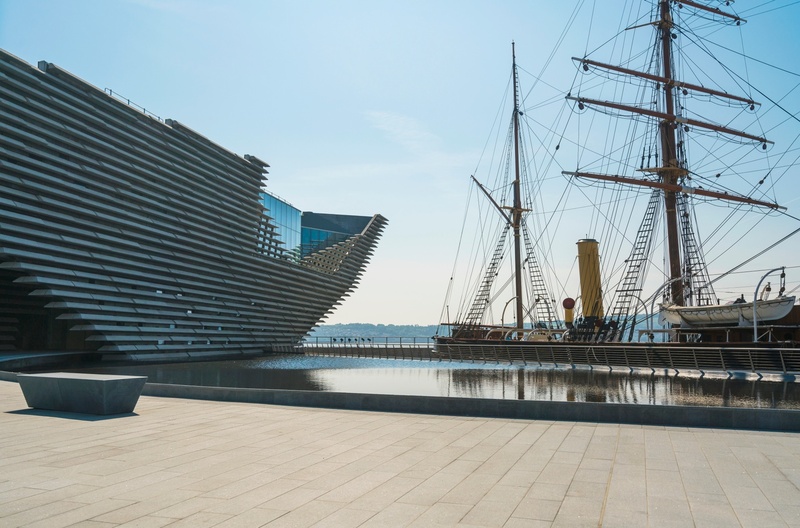 People from Dundee, Scotland and all over the world have enjoyed V&A Dundee’s programme of exhibitions and events as well as the remarkable £80m landmark museum building, designed by Japanese architect Kengo Kuma. Surveys by V&A found that visitors are being attracted from beyond the Tayside region, with 36% from elsewhere in Scotland, 17% from the rest of the UK and 9% from overseas. “It has been an extraordinary opening period for V&A Dundee. This is just the beginning, and the dedicated team behind the museum will continue with our mission to enhance lives through design and to inspire as many people as possible to get involved”. Curated by Marie Foulston and Kristian Volsing, the exhibition focuses on videogames designed and developed since the mid-2000s. From multi-million-dollar blockbuster titles to smaller independent games and the work of DIY artists from a hacker/maker culture. The exhibition will include a major new commission from Glasgow-based illustrator Ursula Kam-Ling Cheng, who is creating a colourful and chaotic mural inspired by virtual worlds. 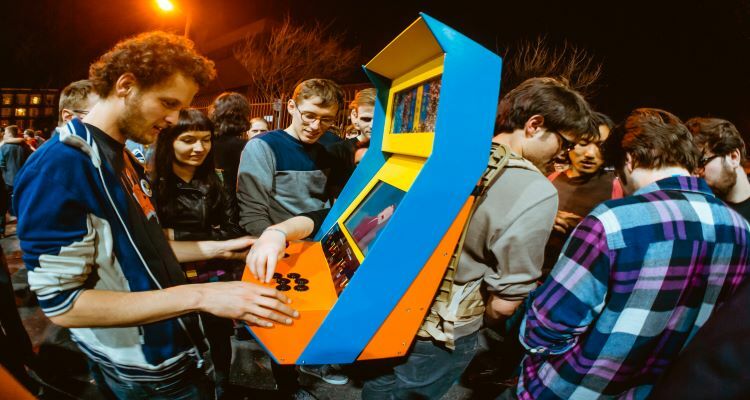 Videogames designed by Abertay University lecturer Niall Moody (Hummingbird) and Abertay graduate Llaura McGee (If Found, Please Return by DREAMFEEL) will also be showcased, housed in bespoke arcade cabinets designed by Edinburgh studio We Throw Switches. The whole event, which will run from 20 April to 8 September, will be supported by a major conference, talks, workshops, family days, club nights, digital demos and a ‘games jam’. The ripple-effect success of the V&A is already being felt across Dundee and the wider Tayside region. Visitor numbers are already up at the city’s other historic and cultural attractions, and hotels are reporting increased bookings. Dundee’s ‘Cultural Quarter’ – including its revamped waterfront, Dundee Contemporary Arts, The McManus: Dundee’s Art Gallery & Museum, Captain Scott’s RRS Discovery, and the Dundee Rep Theatre – is easy to navigate, and, since the V&A’s opening, some attractions have seen visitor numbers increase by up to 40%. Further visitor attractions, including a permanent home to exhibit and celebrate the comic book culture of local publishers DC Thomson are already in the pipeline. The city is also attracting admiring glances from further afield, with The Sunday Times last week naming Dundee as the Best Place to Live in Scotland. It’s easy to see why; where else in Scotland could you see porpoises and seals on your morning commute; or be on a beautiful beach or in the hills just minutes from the city? The city also offers easy road and rail access to Aberdeen, Glasgow, and Edinburgh. More than 1500 people are employed in the creative industries in the city. The sector boasts 200 companies with a combined annual turnover of more than £100m. A £20m digital media park that is expected to sustain 1000 jobs has been built in the city. With two universities, an art school, a 20,000-strong student population, booming life sciences and digital sectors, a rich cultural life, and the most sunshine hours of any city in Scotland, it’s no wonder that people love to study, live, and work in Dundee.